An illustration of a black stallion horse to decorate any space at home. 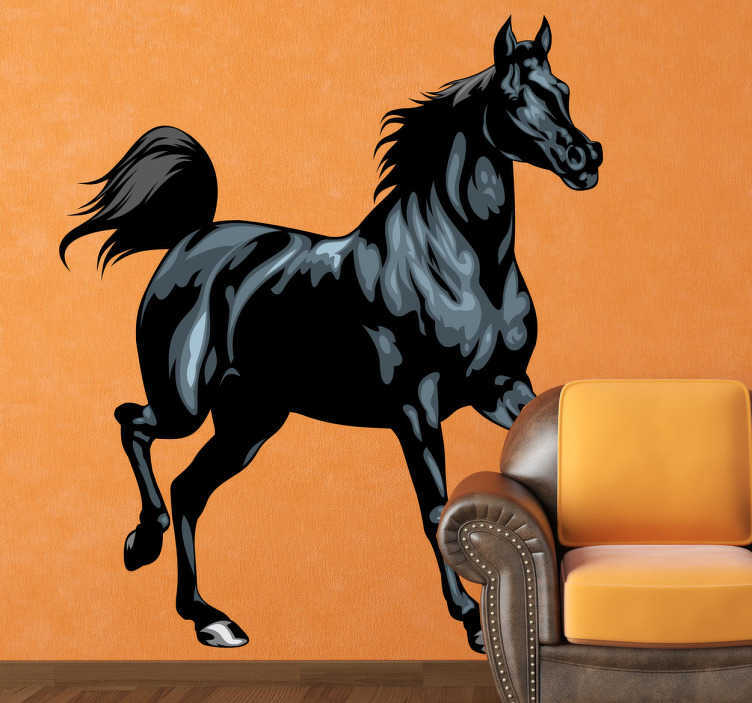 Distinctive horse wall art decal, ideal for animal lovers. Do you love horses? Looking for some wall decoration that will give your room a new atmosphere along with a fantastic appearance? If yes, this horse sticker is ideal to give your home a personalised touch! This black horse design is available in various sizes. Made from high quality vinyl, easy to apply and easily removable.